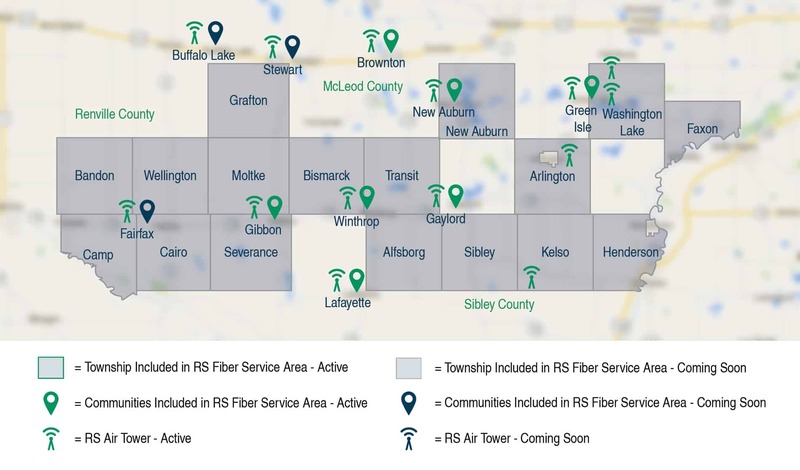 RS Fiber is a community driven effort to bring a high-speed fiber-optic connection to everyone in the project area and provide low-cost, reliable high-speed Internet, crystal clear Video, and Phone services. Fiber-To-The-Home (FTTH) has become the leading technology for next-generation communications worldwide. The RS Fiber Cooperative will be financed from multiple sources. The 10 cities and 17 townships that voted to join the project have formed a Joint Powers Agreement to collectively sell a $13.7 million Generally Obligated (G.O.) Tax Abatement Bond and make an economic development loan to the RS Fiber Cooperative. The cooperative will make the bond payments on behalf of the cities and townships. The RS Fiber Cooperative project is a once-in-a-lifetime opportunity to make a permanent, lasting and positive investment in our future. For rural residents it represents an opportunity to bring technology to their homes that will never happen again. The phone companies have already said rural residents must settle for wireless or slow DSL technology and cable companies are not interested in serving them.